This was really excellent, I consider myself a fan, especially of the early stuff (not including the Laughing Gnome) but there was so much here that I never knew, the many many false starts and almost ten years of trying and failing before finally making the big time. Really great to meet with Hermione after all these years. Agreed. It's the sort of programme that makes the licence fee worth paying. Some of it went over quite well known parts of his life, but most of the program covered things I'd never heard about, and quite a bit of effort must have gone into finding all those previous band members from the obscure early bands. And as you say, seeing Hermione after knowing the song for the best part of half a century was fascinating. She was also, apparently, "the girl with the mousy hair"
I agree, it was an excellent film. I was a massive Bowie fan and was inconsolable for days when he died - it was like a part of my youth had died too. BTW I can't believe it was 3 years ago now. There is lots that I didn't know about the various bands in the 60's and most of it wasn't even covered by the David Bowie Is... exhibition - I seem to remember there was just a small section at the beginning about the 60's stuff. I don't want to spoil it for anyone who's not seen it yet, but Rick Wakeman and Woody Woodmansey are always good fun. Also great to see old Interviews of Gus Dudgeon and Mick Ronson. I would add my voice to saying what a good programme it was, telling the backstory to the more familiar mid 70s period of DB's music and life very well, and from a non sensationalised, balanced, and well informed position. Most such documentaries seem to roll out the same old footage and same old interviews, but this one contained new material and interviews that certainly added authenticity to the whole programme. It was a good length too, not rushed, but not too thin either. For anyone interested in that period, I would strongly recommend seeing 'Holy Holy', the band put together by Tony Visconti and Woody Woodmansey specifically to play Bowie's songs from 69 to 73 in an authentic way. The third full time member is Glenn Gregory on lead vocals (and he does a great job too) with other key slots being filled on each tour by the likes of James Stevenson on guitar and various other established musicians. They are currently in the midst of their third tour and whilst my ticket is for a show later in the itinerary, I saw them on the previous two tours and they are very good indeed. The first tour back in September 2014 was I think only four dates, I went to the Shepherds Bush Empire date, and was specifically to play 'The man who sold the world' full album (as this had never been performed live previously even by DB, as 'Hunky Dory' and 'Ziggy' provided the material for much of his concerts at that time) with the rest of the show being back catalogue songs from the same 69 to 73 period. There was something exceptionally magic about being at a concert in 2016, the lights dimming, a band walking on stage, and then hearing the opening chords to 'The width of a circle' (here it is: https://www.youtube.com/watch?v=ml4yJcqlG4o). Woody Woodmansey plays like a teenager, Tony Visconti plays bass effortlessly and with a constant grin, and Glenn Gregory sings as himself, but with a huge nod of respect to DB. The second tour in 2016 followed the same format but this time started with 'The rise and fall of Ziggy Stardust and the spiders from Mars' full album followed by an hour of other songs from the same period. this time I saw them in Sheffield. Having met on a 'Bowie night' in our home town in the 1970s, me and Mrs BD have always had Bowie as part of our lives. Our home contains many references to DB from the temporary '2019 calendar' in the kitchen, to several other more permanent wall hangings such as a framed poster from 'David Bowie is here' at the V&A, and the Royal Mail commemorative stamps featuring six album covers. We also have numerous tour posters in the music room, some dating back to Earls Court in 1978 (first time I saw him live), old copies of 'Isolar', and numerous albums, bootlegs, and associated paraphernalia. Finally, if anyone out there went to see "Lazarus' at Kings Cross in 2017 I bet you found it as emotionally charged as we did, and if you're ever in Berlin make sure you go on the Bowie walking tour, taking in Hansa Studios and ending with a beer at the bar just by the flat where DB and Iggy lived in Schöneberg and where they frequently drank, this being the end of the walking tour after a moment's reflection outside the flat itself. It's a great opportunity to revisit the Berlin trilogy and meet other Bowie fans from around the world, share memories, and celebrate the music and life of the man himself. I really enjoyed the show. I like his music a lot but could not be described as a fan. Listening to his own musings, he seemed to me to came through as a surprisingly ordinary character in real life despite the veneer of avant-garde outlandish looks and later lifestyle. I suppose the surprise was that he was just another human being. Who would have thought....? He is a great loss to contemporary music. Just goes to show that perseverance can pay off big time. TahiPanasDua wrote: Listening to his own musings, he seemed to me to came through as a surprisingly ordinary character in real life despite the veneer of avant-garde outlandish looks and later lifestyle. I suppose the surprise was that he was just another human being. Who would have thought....? This the crux for me. Apart from being an extraordinary artist who made some of the greatest music of the 20th Century, he was also a genuinely great bloke who didn't take himself too seriously and had a great sense of humour. Summed up perfectly by his appearance with Ricky Gervais on Extras. Have you *seen* Cracked Actor? Yes, but it's amazing the difference being off your face on drugs can have! Besides, I'm not saying he didn't EVER take himself too seriously, show me a great artist or performer that never does... especially one having to be interviewed by Alan Yentob! Thx for this. Really well researched and put together. 1969 and I'm in Leicester Square or Soho area and in a tiny book/music store and came across this..
Don't know why I brought it,(could have been those words "Ground Control to Major Tom") just did and from then on until he died, absolute legend to me. I'm not really sure if I ever saw him in those early days at the Marquee Club but seeing the footage with the Yardbirds and others certainly brought back memories. He was always way ahead of his time and always trying to catch up with something that he knew was there but couldn't find it. I did speak to a very close friend of his and as implied, Hermione was the absolute love of his life and he never quite got over this and in the film they very briefly harked on the fact that he was a very well behaved lad mainly because he actually believed that his mother was going to get rid of him or send him away. But to really understand his character you have to look into his past. Nothing is what it appears to be and I think for him to have struggled relentlessly to achieve his ambitions, singles him out as very special and I feel so sad to think how he may have struggled internally with the private knowledge of his illness but left most of his loved ones in the dark about his condition. Three times I have felt such overwhelming sadness for an icon. John Lennon, George Harrison and DB. p.s. Alan Yentob was a close friend of DB(who knew of his illness) and although a few years ahead of me we both went to Kings School Ely. I think you're correct in saying that to really understand someone's character you need to look into their past, for clues at least, and certainly that's one of the reasons why the programme was so very worth watching. I don't however know if he struggled internally with the private knowledge of his illness but left most of his loved ones in the dark about his condition as you suggest. He was by all accounts very settled in Manhattan living with his wife and daughter, on good terms with his son, and living the lifestyle he very much believed in and had actively chosen, living privately, taking his daughter to school, seeing friends, and was almost unique in eschewing the celebrity lifestyle we see most other such stars adopt. 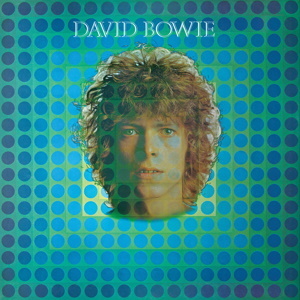 He had sung about the ordinary man and how 'super-men' don't exist throughout his career, most notably with Major Tom's human weaknesses and his ultimate dispensability, and made no secret of his dislike of celebrity culture with many references and indeed direct criticisms of this, particularly more recently in his career on 'The Next Day' with 'The Stars (are out tonight)' and ultimately on 'Blackstar', the album and song itself, too. We'll never know the circumstances of his last few weeks of course, but I'd like to think that he was surrounded by those he wished to be sharing his life with at that time and in the situation he found himself. We know he remained in frequent communication with others outside of his close family including Tony Visconti, discussing new material for future albums, so perhaps death came faster than he anticipated. Going back to 1970 and a song that is widely thought to be autobiographical, he asks himself about his death and replies "Oh no, not me, I never lost control". The manner in which his death was announced, what happened to his body, the lack of formal memorial service, all point to David himself planning what happened post death, and again reflected the 'ordinary man' persona he so strongly believed in. So perhaps he remained in control, as much as one can in death. His music and lyrics speak openly on many subjects and as the programme showed, back in 1973 he wanted to be "David Bowie period" and had "massive plans for the future". That future lasted another 43 years and produced a catalogue of music and so much more besides, that all touched so many people in a myriad of ways. He has been part of my life longer than my wife, longer than my kids, and will continue to be part of it every day. BTW in case any Bowie fans aren't aware, Iggy Pop is on Radio 6 tonight presenting a two hour programme about Berlin, that will undoubtedly be interesting and contain much about DB and their time living there together. It will be available as a Podcast after transmission. I still get a shiver......."Look up here, I'm in heaven," "nothing left to lose," and "free like a bluebird." Well a sort of dissenting voice here. We've just got round to this today and by about 20 minutes in I was ready to ditch it because of the appalling visual editing which was making me feel nauseous. And I couldn't just shut my eyes and listen because there were so many bits where words were on-screen and not spoken. Oh, and they were in a badly contrasted font so Mrs S had to keep rewinding and pausing to get all of the words. Can't say I noticed anything about the visual editing, good or bad, which perhaps has more to do with the fact that I watched the programme when it was broadcast, quite late on Friday evening, after several drinks, which may explain things! I have however since listened to Iggy's Berlin Radio 6 programme mentioned above whilst completely sober and he certainly packs plenty into the two hour slot, and does so in his unassuming, relaxed style, creating a very evocative sense of the very special place that Berlin is, especially culturally, as expressed through the music of its history. He starts pre war with Kurt Weill and Bertolt Brecht, moving neatly into Nico, and then her work with John Cale, playing the inevitable eponymous Lou Reed track, before touching briefly on his own time living there with David Bowie and Tony Visconti, with 'V2-Schneider' (Bowie paying his respects to Florian Schneider) his chosen track for that period, before moving on to Kraftwerk themselves, and other well known Krautrock artists such as Neu!, and Can, and other less well known German bands too. He casually tells some lovely anecdotes about Conny Plank, his own time at Hansa Studios, and the diverse population of Berlin at the time with its mix of Nato servicemen, bohemians, and Turkish workers. Overall I enjoyed it immensely, finding it nostalgic for all the songs and stories I'm familiar with already, and also informative with the new to me material and tales of old Berlin. In fact I enjoyed it so much that, as one of may favourite bands is playing there next weekend, me and Mrs BD are off to Berlin next Thursday for some music, beer, and relaxing in what I think of a lovely place to spend some downtime, a city that is unique in its history and 'feel'. For anyone with a fondness for the whole Iggy/Bowie/Lou Reed/Velvet Underground 1970s 'scene', the programme is worth downloading and listening to IMHO.